GoDaddy Inc. recently announced its title sponsorship for the upcoming WHD india, the largest independent hosting and cloud services conference and NamesCon India, the world’s biggest domain name industry event. This will be the inaugural NamesCon in India, which will take place alongside the seventh edition of WHD.india at the Grand Hyatt, Mumbai from May 18-19th, 2017. Day one is expected to attract participation from over 500 resellers, web developers, web designers and key industry influencers at WHD.india 2017. The second day will be dedicated to NamesCon 2017 with participation from over 200 domain investors, bloggers and domain resellers. In addition to being the title sponsor, Raghu Murthi, GoDaddy Senior Vice President for Hosting Product Development, will host a keynote session at WHD.india 2017 on “10 lessons from Bollywood that hint to the Future of Web Hosting”, along with discussions around the current hosting trends. The event will also feature keynotes and insightful sessions from other leading industry experts and thought leaders. World Hosting Days is the world’s largest series of events for the cloud services and Internet infrastructure industries. WHD.india 2017 is the seventh event focused on the recognized rapidly expanding cloud and internet market in India. NamesCon is the largest annual domain-industry conference, attracting attendees from around the world. 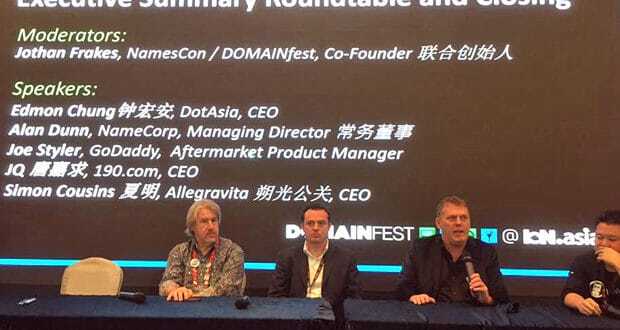 The event provides a forum to connect with registrars, registries, web hosting companies, brand managers, domain investors, entrepreneurs, and individuals. NamesCon India will be highlighted with keynote presentations and informative sessions where industry experts will discuss latest trends and advancements in the domain industry.